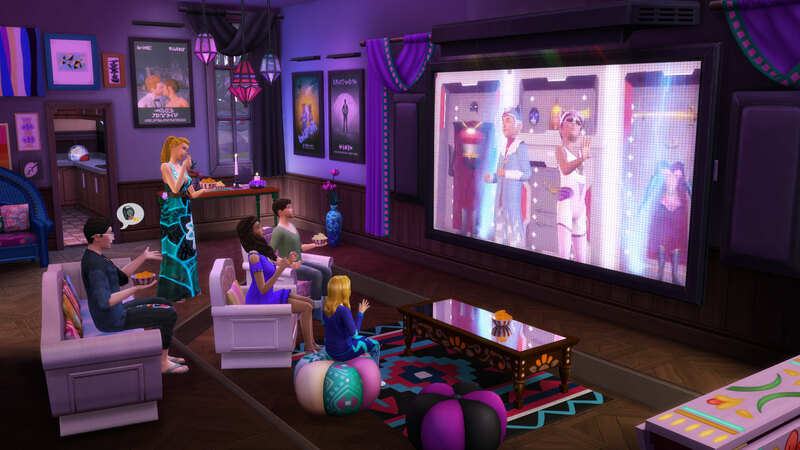 Next week you’ll be able to get your hands on a new stuff pack from The Sims 4 called: Movie Hangout Stuff! 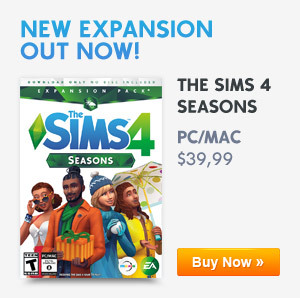 This was announced on the official Sims website. 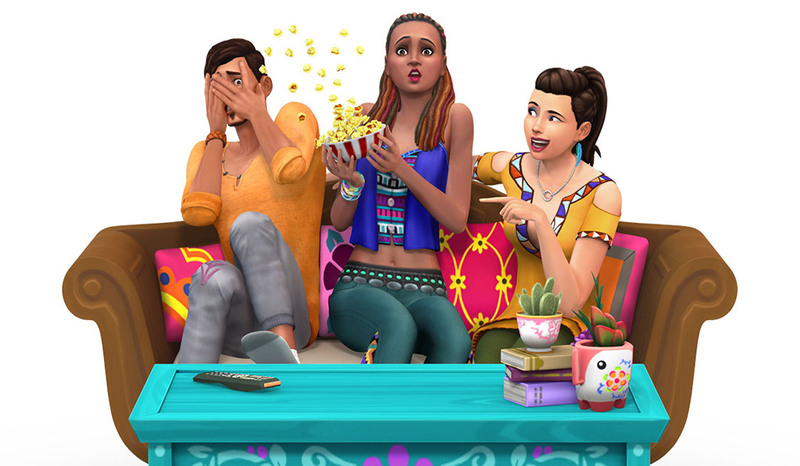 Grab the popcorn and invite your friends – The Sims 4 Movie Hangout Stuff Pack* is coming on January 12, and includes the stuff your Sims need to set the stage for a relaxing movie night. Of course no flick can be fully appreciated without an accompanying bowl of popcorn on your lap, and the new Popcorn Popper lets you do just that. Your Sims can pop (and devour) traditional buttered, cheddar, caramel, or kettle. Just beware… popcorn may fly everywhere when they view a jump scare in one of the horror movies! Sounds great! How much is it? Should be $10 USD like all other Stuff Packs. 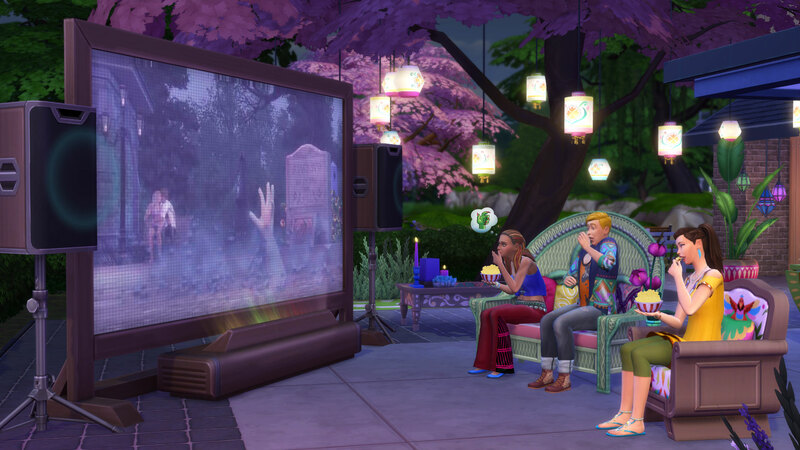 They must have heard my cries for help or spied on my gallery home when trying to figure out how to recreate my family’s home theatre… Yes!!! !